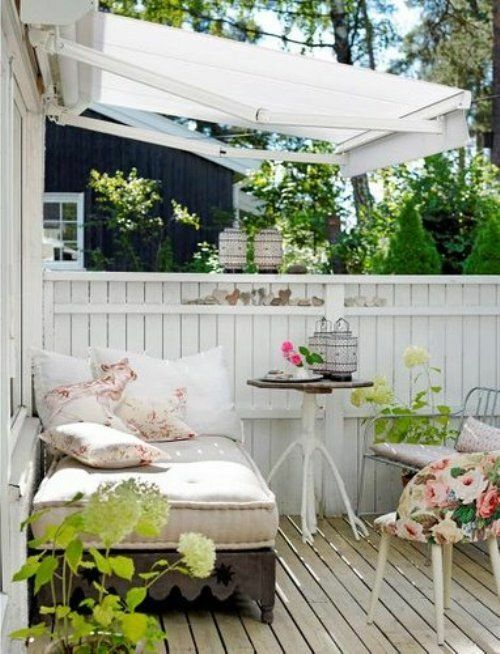 Summer is the time for enjoying fresh air outside, we are all striving for some sunlight, breeze and other joys of this season. 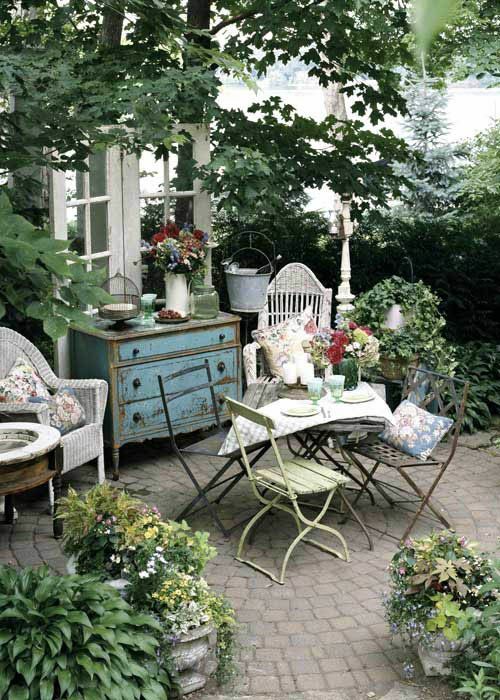 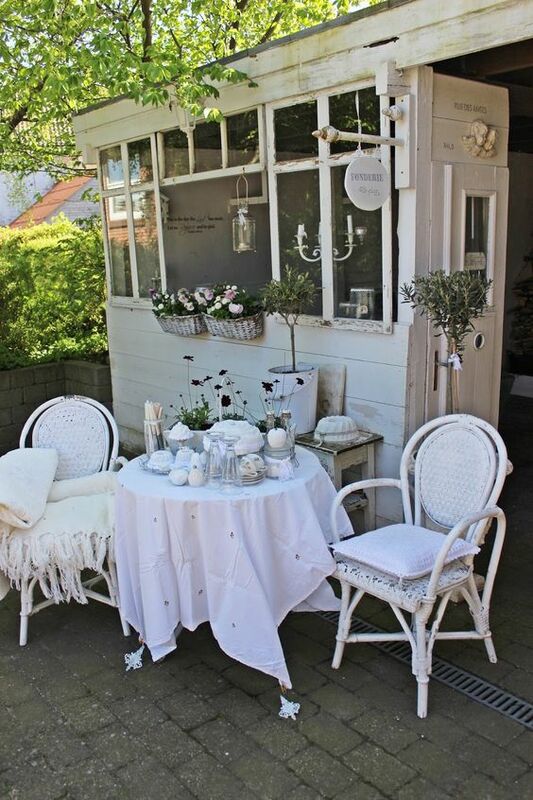 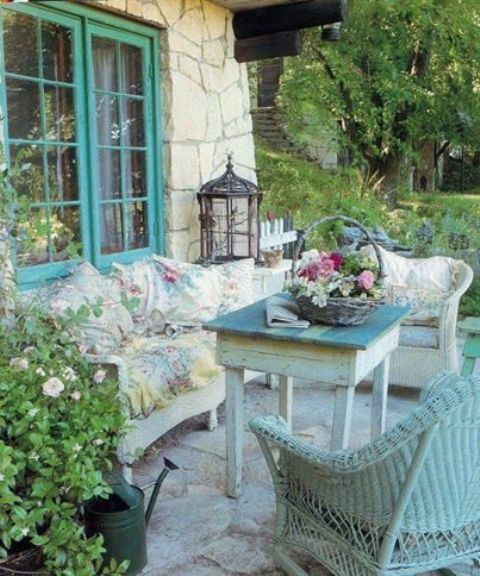 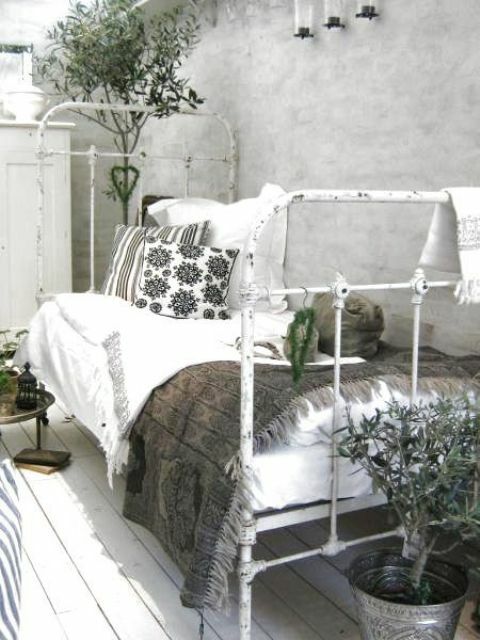 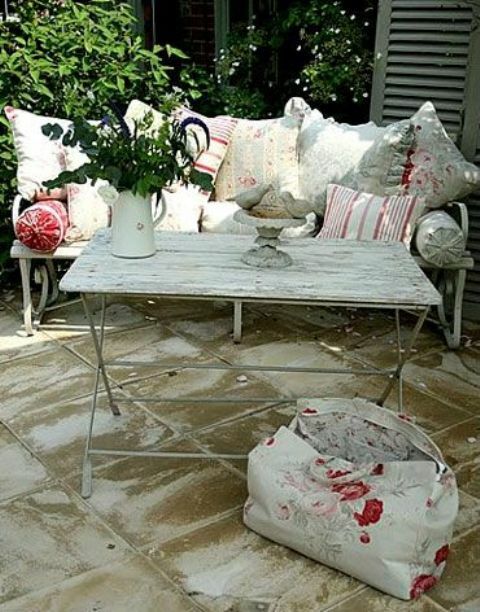 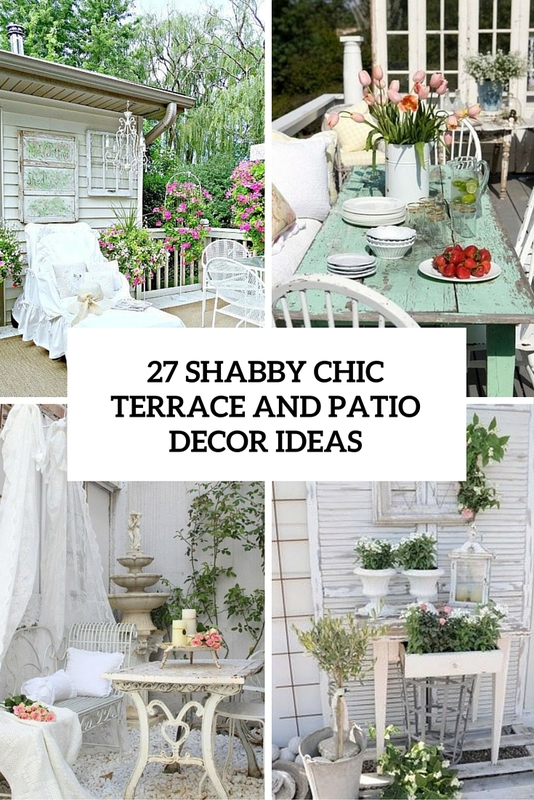 I bet that you have already decorated your terrace, porch, patio or any other outdoor space you own but if not or if you want to change the décor a little, we are here to offer you the sweetest and the most laid-back style for décor – shabby chic! 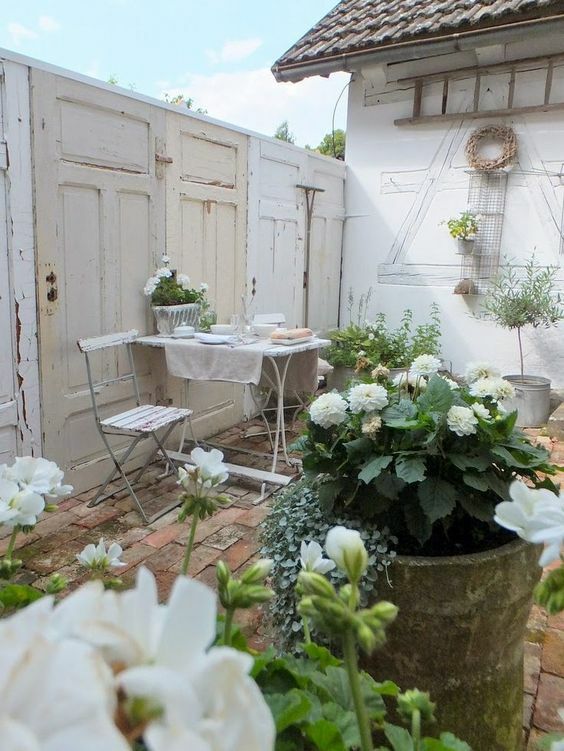 Decorating a shabby chic terrace or patio isn’t that tricky and won’t cost a pretty penny, so choosing this style you’ll save some money and renovate a lot of old things you were going to throw away. 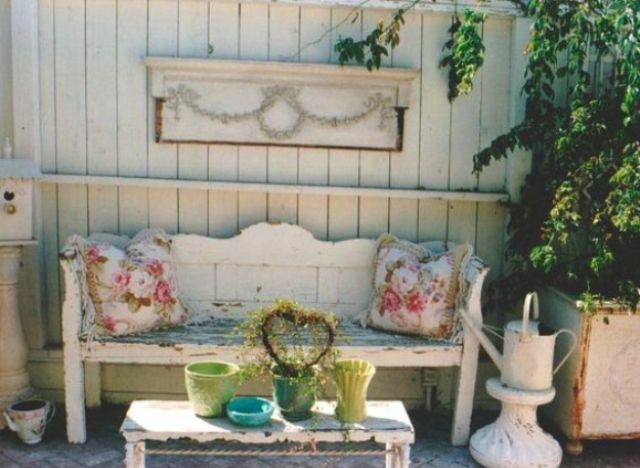 Shabby chic style is about wood and metal mostly, all of them should be aged, distressed, weathered or given a worn look in some other way. 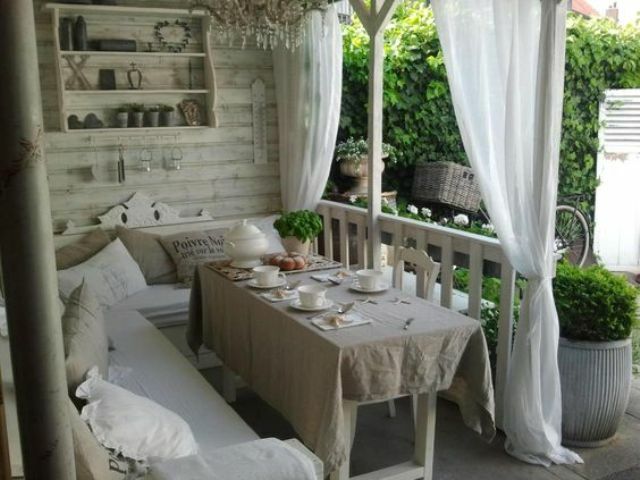 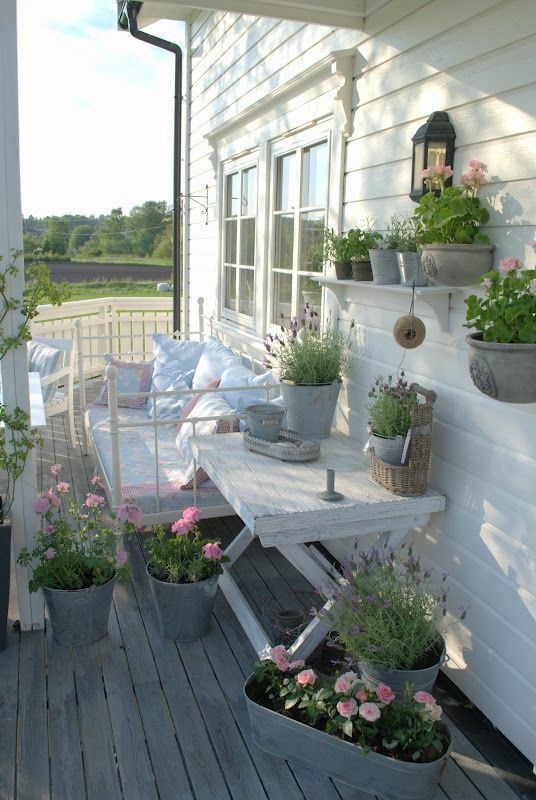 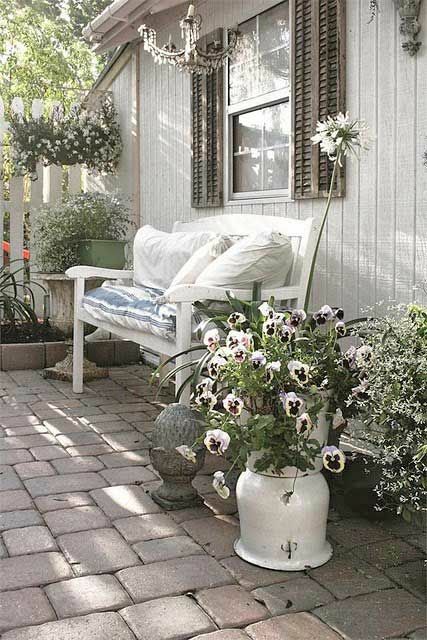 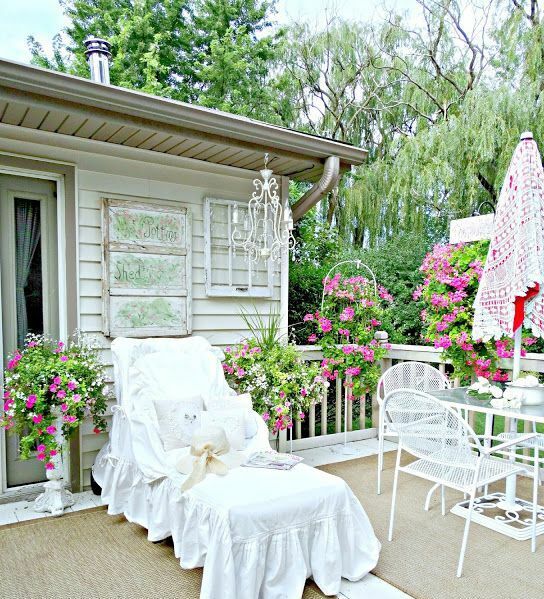 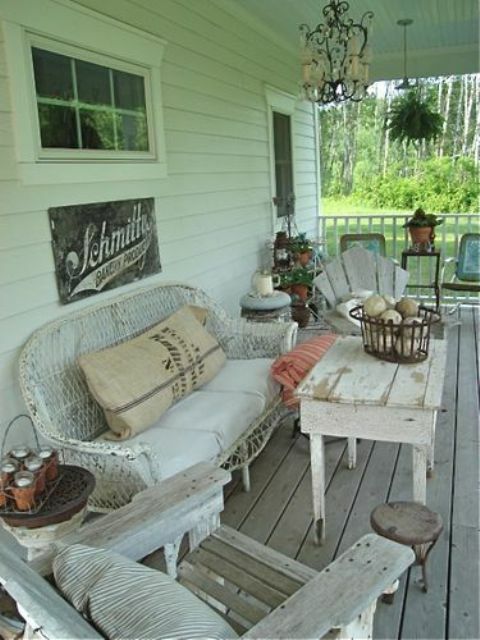 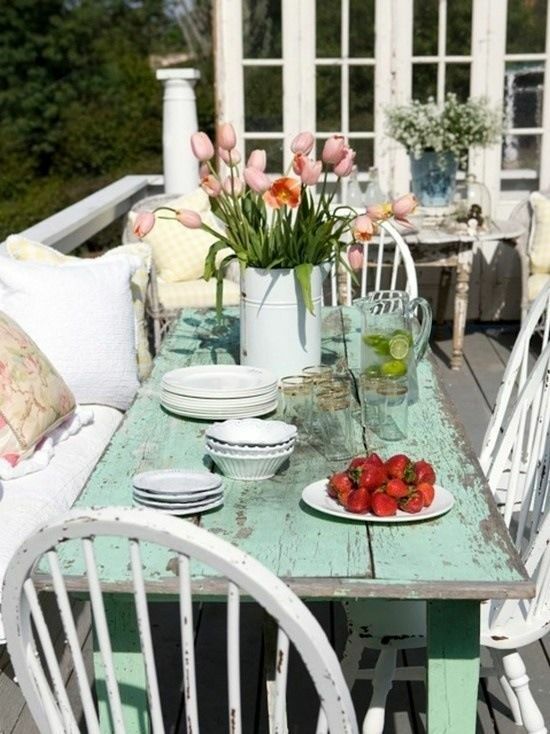 Make a weathered wooden deck, paint the walls with whitewash paint and add delicate forged furniture. 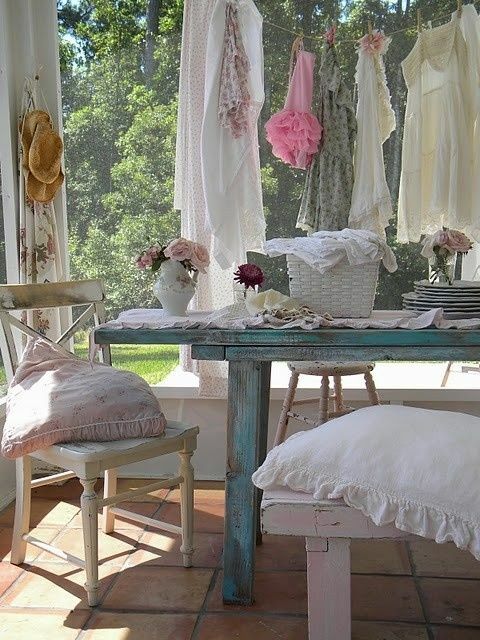 Colors are the softest and most relaxed ones: white, cream. 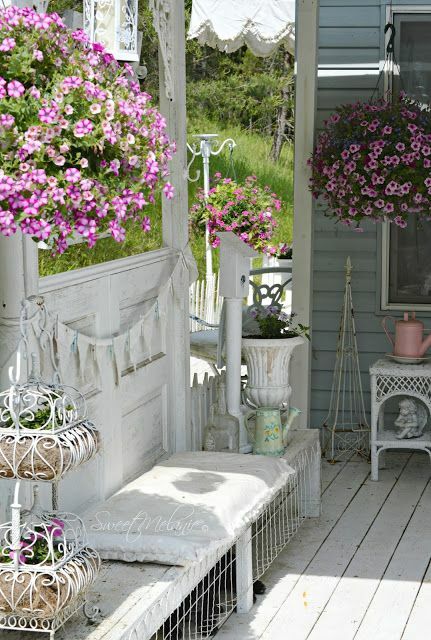 Buttermilk, light grey, dusty blue and pink, all other kinds of pastels and neutrals, I’m sure that you’ll get inspired! 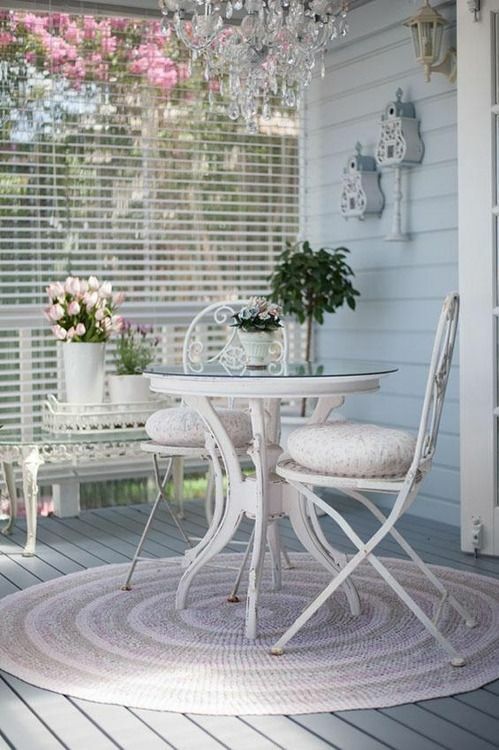 Depending on the size of the terrace, choose the furniture you like and need: benches, chairs, sofas, tables, ottomans and other stuff. 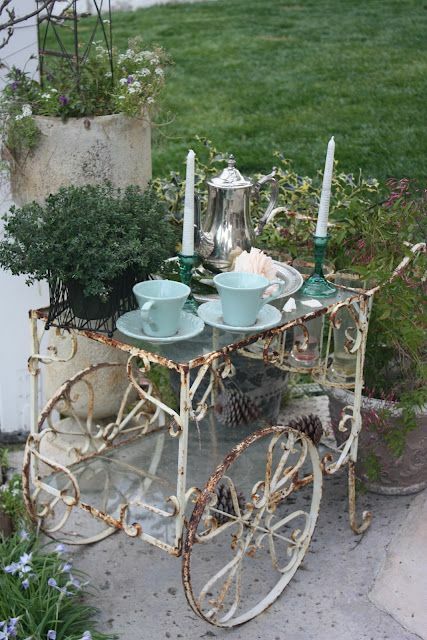 Give them a shabby look distressing them, aging, weathering or else. 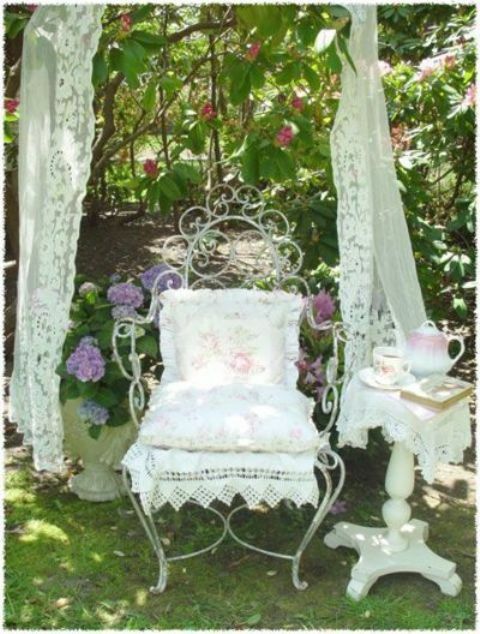 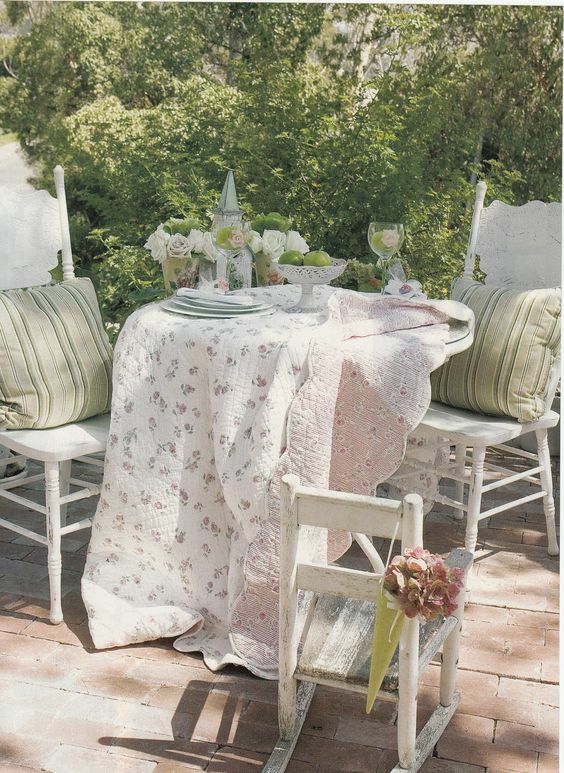 You can go for chair covers – choose vintage floral fabric or just white with ruffles. 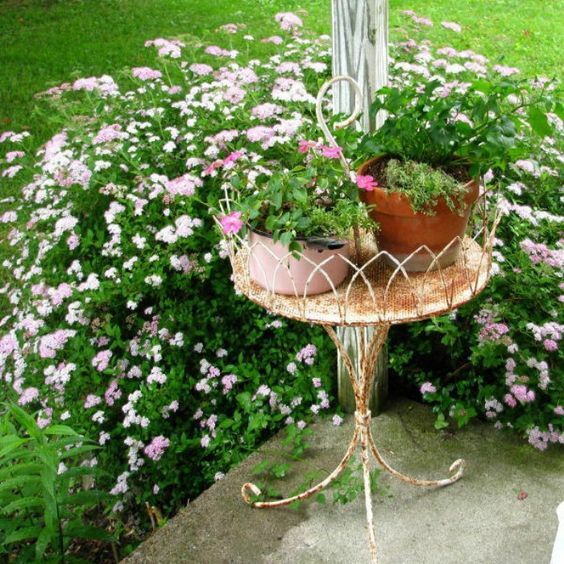 There are a lot of DIYs on the web, so you needn’t spend much money. 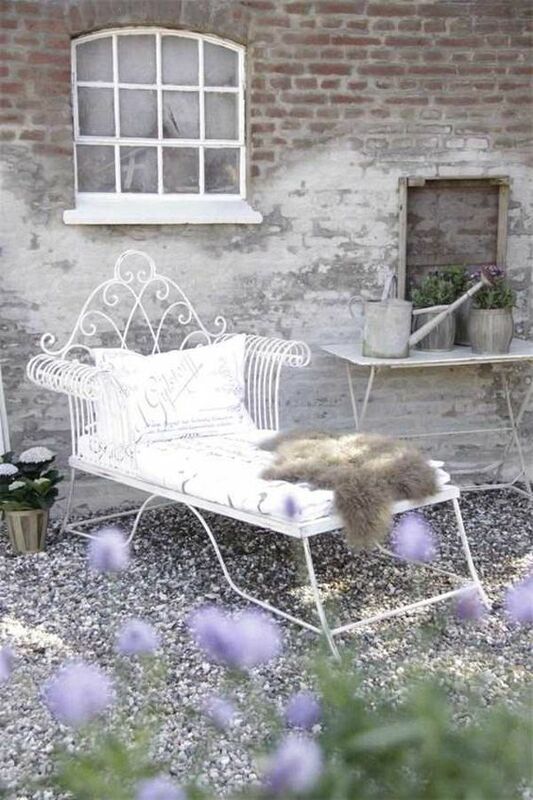 Mix and match you furniture, for example, an antique forged bench with a whitewashed wooden table, that’ll create an effect. 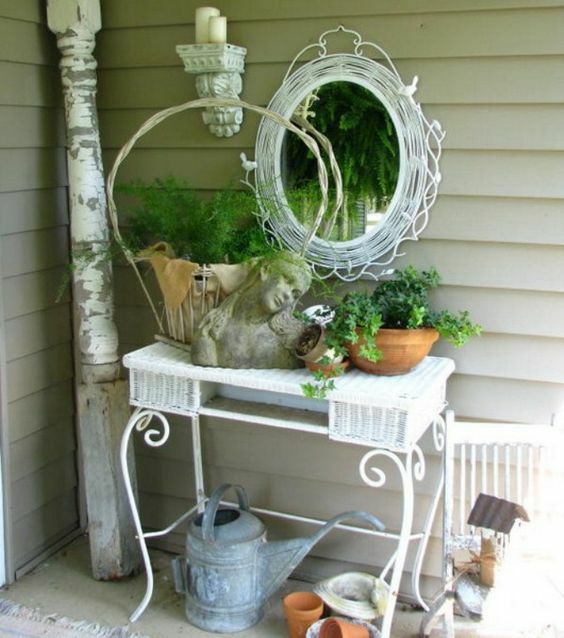 Accessories make up shabby chic style, so don’t be afraid to rock them all – you just can’t use too many! 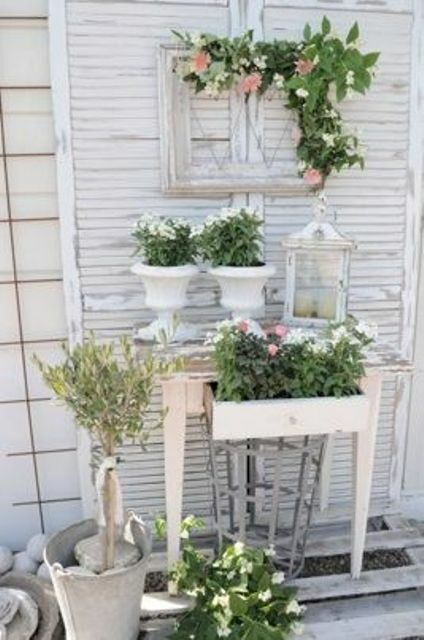 The accessories may add some touches of other styles, for example, of rustic style – go for baskets, jugs instead of vases, antlers and buckets as planters. 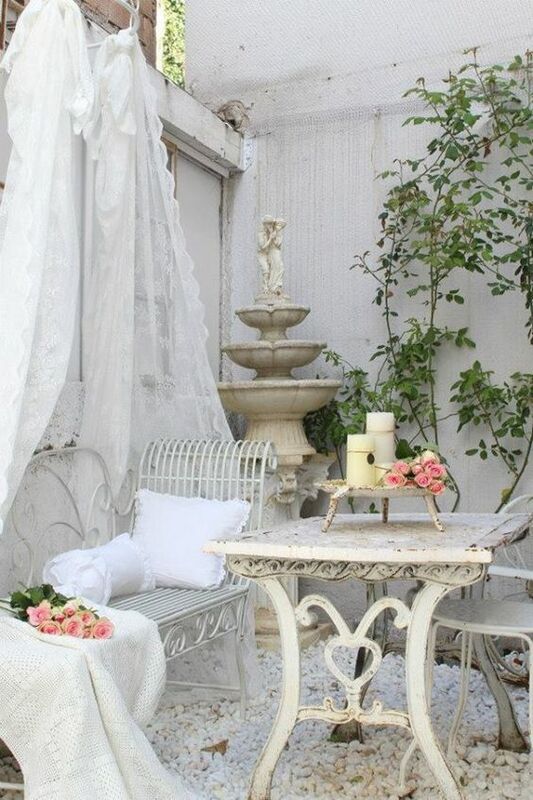 If you want something more refined, try French chic style and choose a crystal chandelier, lace and floral covers, canopy over the bench and maybe find an antique fountain, it may not work but will be sufficient for décor. 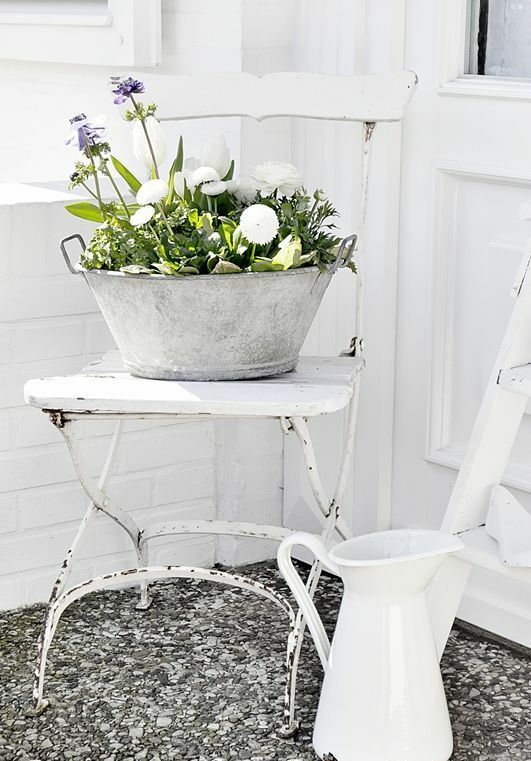 Remember about flowers – you can grow them in pots around, and flowers are an indispensable part of shabby décor.